Alchesay aka William Alchesay and Alchisay, May 17, 1853 – August 6, 1928 was a chief of the White Mountain Apache tribe and an Indian Scout. He received the United States military's highest decoration for bravery, the Medal of Honor, for his actions during the Indian Wars. 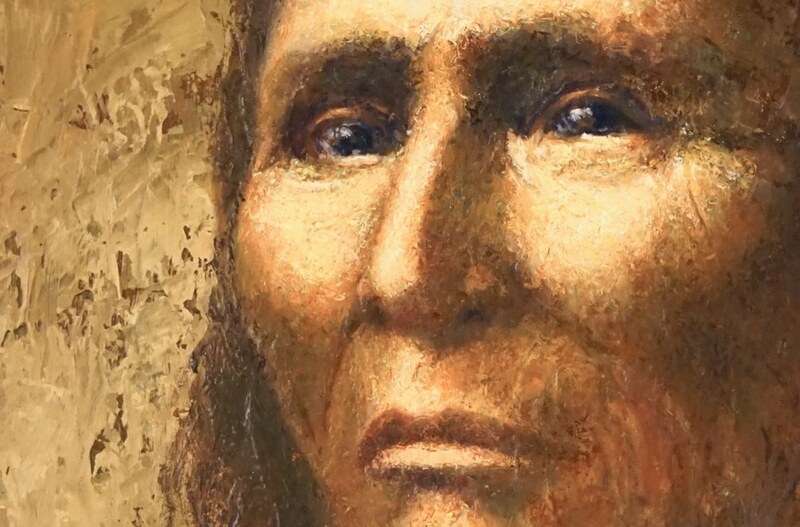 He tried to convince Geronimo to surrender peacefully on behalf of the United States government and remained friends with Geronimo until his death. 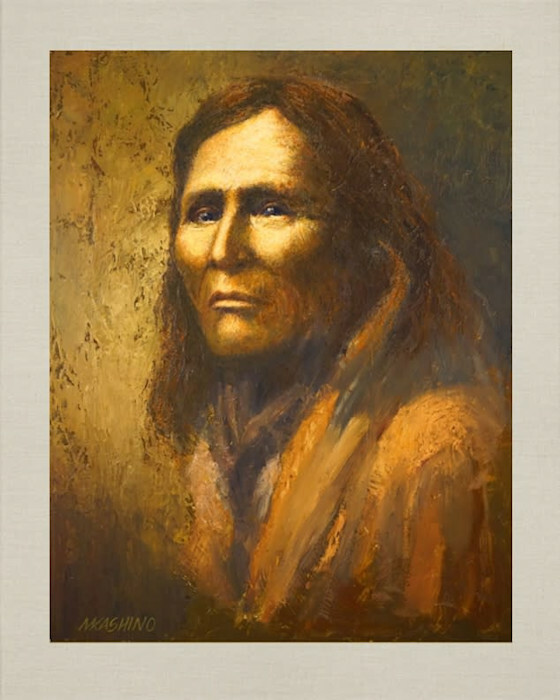 After the wars were over he returned him to his wives and became a rancher and was active in Indian affairs. Crook's aide (and fellow Medal of Honor recipient) John G. Bourke described Alchesay as "a perfect Adonis in figure, a mass of muscle and sinew of wonderful courage, great sagacity, and as faithful as an Irish hound." He was an adviser to Indian agents and to President Grover Cleveland. He fought again under Crook in the campaign against the Chiricahua Apache in the Sierra Madre of Mexico in 1883 and his last military duty was as an advisor during the pursuit of Geronimo in Mexico in 1885. Photo was created in 1906 by Edward S. Curtis.